After President-elect Donald Trump’s improbable election victory, the American public focused on another unexpected development — a market rally. Despite the fact that futures trading for the Dow Jones Industrial Average were volatile once it became apparent that Hillary Clinton would lose the bitterly contested race, the markets quickly recovered. Theoretically, Trump’s promise of reduced regulations would be a net positive for the Dow. A week after the election, the Dow Jones index gained more than 3%. Following a brief respite, the benchmark continued to move higher toward an unbelievable threshold. All everyone could talk about was “Dow 20,000.” Indeed, in the final days of 2016, the Dow was achingly close to breaching that all-time record. Yet it was the digital currency bitcoin that was first to hit its own psychological target of $1,000 per coin. This is not to call the Dow a disappointment. But let’s be real with the facts. The venerable index gained just under 8% between the election date and the end of the year. Bitcoin, on the other hand, jumped approximately 35% over the same time frame. On Jan. 1, bitcoin breached the $1,000 barrier while the Dow was recovering from the New Year festivities. Those that may not be familiar with bitcoin and the “cryptocurrency” revolution can surely appreciate why it is that these platforms are overwhelmingly popular. Ironically, it is the movie title Wall Street: Money Never Sleeps that best illustrates the case for bitcoin and cryptocurrencies. When you think about it, money — under the traditional platform — does sleep. The Dow Jones doesn’t open on weekends, nor on national holidays. And for regular investors, the markets have a short window of accessibility — and on Eastern Standard Time. Bitcoin and digital currencies are truly free markets, open 24/7 and accessible to anyone with an internet connection. There are no stiff-necked traditions, no centralized portal, no vetting process to approve individuals for advanced trading vehicles. It’s what brokerage firms pretend to be, but underneath the hood is nothing more than the same old game. At the same time, I have no pretenses about people’s reservations. Cryptocurrencies are still in their infancy, and there’s a lot of growing pains associated with them. My purpose here is not to provide an exegesis on digital currencies. Rather, I hope to provide a basic framework so that you can make an informed decision. As the first of its kind to gain worldwide attention, bitcoin and cryptocurrencies are intractably linked. Initially starting life as a fringe asset, bitcoin is now being accepted across a growing number of businesses and institutions. For example, at the beginning of 2016, there were 538 bitcoin ATMs. By November of that year, the number had jumped to 838, or a 56% increase. But what exactly makes bitcoin tick? At the heart of most digital currencies is the “blockchain” — a technological and “self-managed” platform that uniquely stamps every transaction. 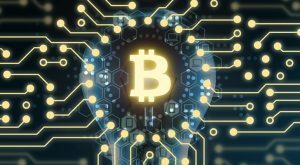 Among other uses, the blockchain eliminates the need for a financial intermediary. Consider the obvious pitfall of a digital currency platform. The reason why a rudimentary form of bitcoin hasn’t been established before is that digital files can be easily duplicated. In other words, there’s a very real possibility of “double spending” in digital currencies. E-commerce retailers must have a third-party intermediary to help prevent fraudulent transactions. But because of bitcoin’s blockchain system, each and every transaction is by default verified. Should more retailers find out about this unique attribute, bitcoin acceptance could soar to new heights. Make no mistake about it — bitcoin is the real disruptive technology and its potential is still mostly untapped. As the pioneer, bitcoin naturally grabs all the headlines. However, what I’d like people to realize is that the revolution is not just about any particular asset, but about the idea of truly free markets. According to CoinMarketCap.com, there are currently 643 digital currencies in existence. There’s even a “TrumpCoin” if that suits your fancy. Of course, just like our traditional markets, not every cryptocurrency is a legitimate one. Most are probably garbage. But there are a few names that are gaining volume and acceptability, and ethereum is a prime example. 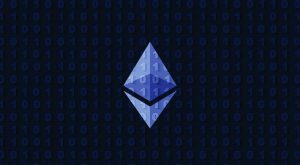 With a market capitalization of over $920 million as of this writing, ethereum is the second-biggest digital currency. Another validation is that Coinbase — one of the most respected names in the industry — only offers bitcoin and ethereum procurement. Against a practical framework, these smart contracts potentially offer even greater retail convenience compared with what we are already accustomed. According to The New York Times, one ethereum application in development “would let farmers put their produce up for sale directly to consumers and take payment directly from consumers.” That puts a new twist on the farmers’ market concept! This also means that ethereum may be the worst fear of lawyers. Imagine conducting business, or fulfilling contractual obligations without the need for expensive legal fees. In theory, breach of contract cases would sharply decline because if there indeed is a breach, the ethereum network will not process payment. Anything to make life simpler is a plus, which makes ethereum deserving of a second look. No matter how great bitcoin and ethereum are, they do have serious vulnerabilities. Chief among them is the ever-present threat of hacking. Digital currency accounts have been breached before by online thieves, and it certainly won’t be the last time this occurs. Depending upon the brokerage’s policy, there may be little to no recourse. Certainly, if you store bitcoin in your computer, there’s zero recourse if your computer is compromised. That’s because the technology that makes digital currencies so quick and convenient is also its Achilles’ heel if it is violated. Digital transactions are recorded on the blockchain, but they are completely anonymous. Therefore, it’s possible to run up huge profits, only to be undone by a hacker. For those that want to participate in the ebb and flow of bitcoin, but without its inherent pitfalls, there’s Bitcoin Investment Trust (OTCMKTS:GBTC). GBTC is the world’s first publicly traded bitcoin fund, according to The Wall Street Journal. 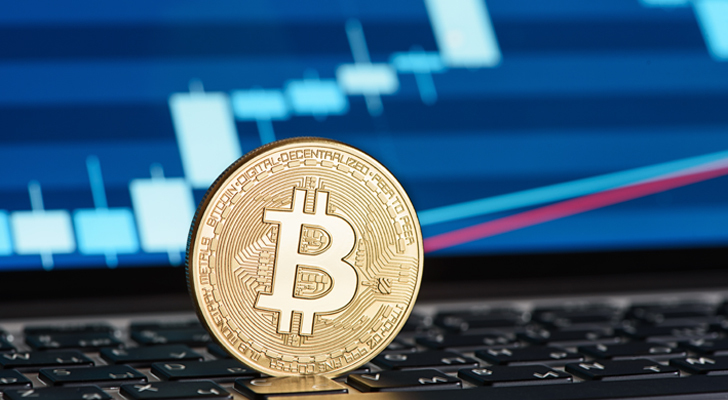 For all practical purposes, GBTC is still the only viable digital currency investment that operates within the traditional stock market platform. That has obvious advantages. For one, GBTC is a damn fine performer. Last year, it hauled in more than 82% in profits. And as previously mentioned, GBTC is a “protected” investment. Sure, the over-the-counter markets can be hacked, but you are legally entitled to the shares of GBTC that you purchased, period. That said, the GBTC takes the fun out of digital currencies. Namely, 24/7 trading. No more staying up at 1 a.m. analyzing candlestick charts — with the GBTC, you are bound to the rules and time frame of the stock market. That’s like running contemporary software on outdated processors. Still, digital currencies are a new concept, and that naturally entails risk. GBTC allows interested parties to take baby steps toward this exciting development. As of this writing, Josh Enomoto did not hold a position in any of the aforementioned securities. However, he is a proponent of digital currencies and accepts bitcoin for his business. 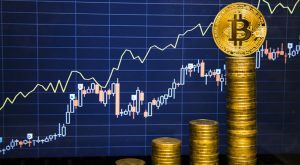 Article printed from InvestorPlace Media, https://investorplace.com/2017/01/cryptocurrency-investments-capitalize-bitcoin-craze/.